During the winter full moons the normally solitary grouper gather en masse to spawn at certain locations throughout the Caribbean. Learning about these aggregations is of major importance to protect and manage the economically and culturally important fishery for these endangered fish. Photo credit: Shane Gross. We are pleased to report considerable progress over the first two years of our research project. Since the project’s inception, we have visited 12 historically reported Nassau grouper spawning aggregations, completing more than 80 dives throughout The Bahamas. Two of these spawning aggregations appear to be relatively healthy compared to other visited sites. Permanent closure over a major part of the reproductive season (December 1 – February 28) for Nassau grouper is likely to help with recovery with proper enforcement. With the support of local partners and fishermen, over 300 fin clip samples have been collected throughout the country. Volunteers are collecting tissue samples of Nassau grouper caught by local fishermen from popular landing sites in Abaco, Andros, Eleuthera, New Providence and Inagua. Through additional partnerships, samples are also expected from other researchers and partners in Grand Bahama, Exuma, Cat Island and San Salvador. DNA from fin clips is being analyzed to assess the health of Nassau grouper populations in the country. 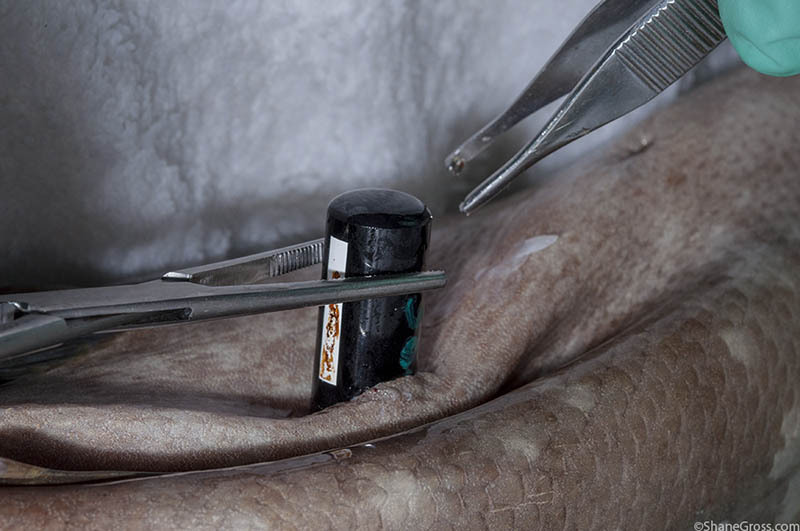 More than 60 adult fish have been surgically implanted with acoustic tags “transmitters” (Photo 1). These tags enable us to track their movements as they swim along the shelf edge in Andros and within the vicinity of other spawning sites that we’ve been monitoring off Long Island. Tag returns from local fishermen haven been very useful and helped to refine the positioning of receivers. This information is expanding our knowledge of Nassau grouper migratory behaviour during the spawning season. In March 2016, we presented preliminary results of our research at the Bahamas Natural History Conference. A Nassau grouper fishery management workshop was also held with invited stakeholders comprised of fishermen, law enforcement officials, policy-makers, marine resource managers, scientists, non-governmental organizations and the private sector (Photo 2). This working group will collaborate to support management strategies for the Nassau grouper fishery. 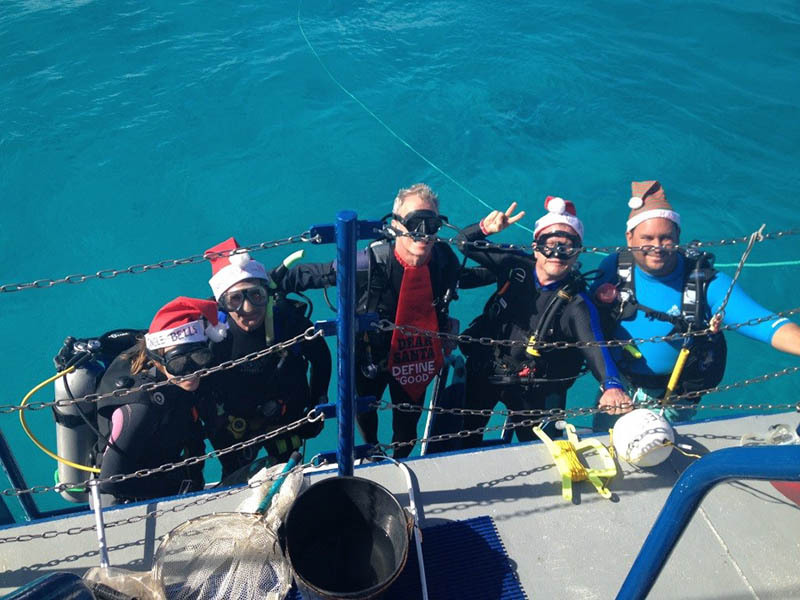 Our research cruises would not be possible without the assistance of hardworking volunteers, who even sacrificed their Christmas holidays in 2015 to help complete spawning surveys (Photo 3). Participants to date have included undergraduate and graduate students from The Bahamas and USA, staff from the Shedd Aquarium, Bahamas National Trust, Cape Eleuthera Institute, Atlantis Resort, Forfar and BREEF. 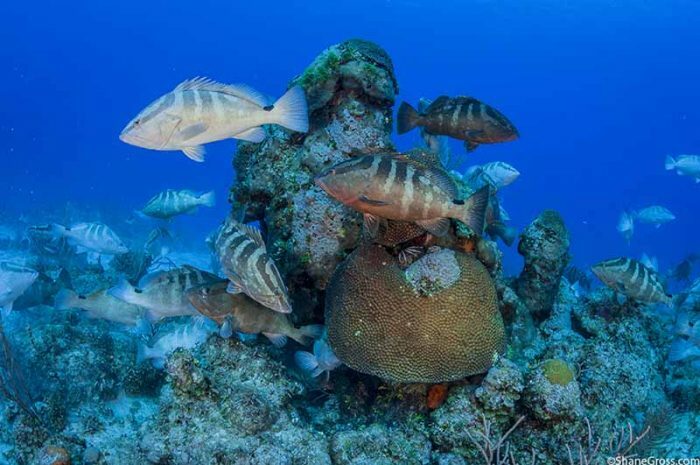 During the final year of the project, we will continue working with local partners to obtain additional fin clips, visit and verify the existence of other spawning aggregation sites, monitor fish abundances at selected spawning aggregation sites, maintain and retrieve data from receivers, and support improved outreach efforts and conservation for Nassau grouper in The Bahamas. Be sure to follow us on Facebook and Instagram @NassauGrouper242 for the latest news!